Whilst Ghanaians are struggling to eke out a living as a result of the harsh economic situation in the country, a cabal operating at the Tema Port is exacerbating the situation by feeding fat on the scarce resources at the expense of the entire population. The syndicate, The Chronicle gathered, has been generating false information into the network system of the Ghana Revenue Authority (GRA) to outwit the state security agencies. Through these nocturnal activities, the group has been clearing goods from the Tema Port without paying the commensurate taxes to the state. In some of the cases the goods are stolen outright. The Chronicle is informed that through this dubious means a BMW X6 which landed at the port found its way to the home of a business tycoon in the country. Painstaking investigations The Chronicle conducted in Tema revealed that on the 19th of March 2013, a vessel MV YK SASSANCRAH arrived at the port with a number of containers. Container number CAIU 8220467 was manifested as personal effects and addressed to Joseph Nii Laryea Afotey Agbo, Member of Parliament (MP) for Kpone Katamanso Constituency and now the Greater Accra Regional Minister. When it was opened for inspection by personnel of the Customs Division of the Ghana Revenue Authority (GRA), a BMW X6 car with chassis number WBAFG 01090L333894 was surprisingly found in the container. A source which spoke to The Chronicle on condition of anonymity alleged that the car had been declared stolen by INTERPOL from Europe. Based on this information, the car was seized and parked at Africa Coastal Services (ACS), a container freight station outside the Tema Port. The Chronicle investigations revealed that the shipper of the supposed personal belongings, which turned out to be a luxurious car, was one TT who got in touch with a certain Kwame at Dansoman to facilitate its clearance. The said Kwame, therefore, got in touch with one Mr. Mohammed Awal, who claimed to be a National Security Operative. The two were alleged to have taken the BMWX6 from ACS to ATLAS yard to another terminal near the Tema Oil Refinery (TOR) without authority. With the help of the other members of the syndicate, a new manifest other than the original one from the shipping line was generated. With the help of an accomplice at VAN UDEN, a Ghanaian company responsible for consolidated shipped items, the group changed information about the vehicle on the manifest of the vessel that brought the goods. Together with collaborators at the shipping line, the syndicate managed to clear the stolen BMW X6, sent it to the Driver Vehicle and Licensing Authority (DVLA) and obtained a registration number GN 4591-13, with Mohammed Nuhu of Bolgatanga as the owner. To facilitate the deal Awal allegedly charged Kwame and TT – the shipper – GH₵ 20,000.00, which was paid and the BMW X6 was sold to somebody with links to ATLAS Company for GH₵ 60,000.00. When contacted, the Greater Accra Regional Minister, Nii Laryea Afotey Agbo confirmed that the Customs Division of GRA informed him of the situation and demanded a response. According to him, he knew the said TT who is now domiciled outside the country and that his auntie and TT’s mother were both traders at the Makola Market. The Minister said he released all these information to the Custom division of the GRA and that he had no role in the fraudulent act. 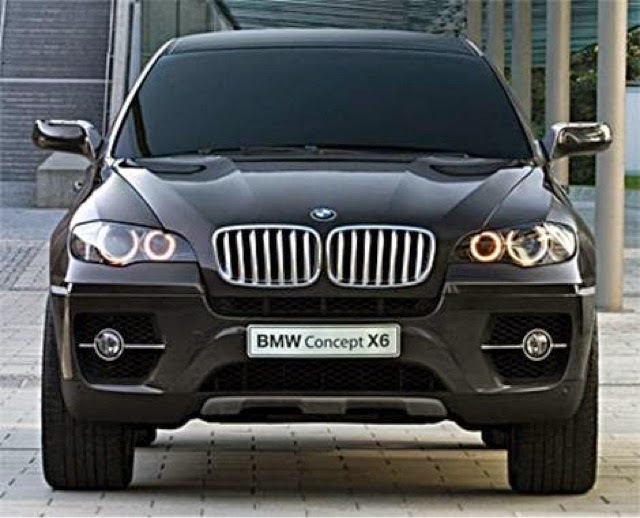 A Management member of ATLAS Ltd, told The Chronicle that one of their relatives purchased the said BMW X6 but did not know that there was a problem with the car. He said that the person who fronted for the sale of the car claimed to be a National Security Operative who was attached to the terminal. When reached by this reporter, the said Kwame refused to comment and rather referred the paper to Awal who also declined comments.